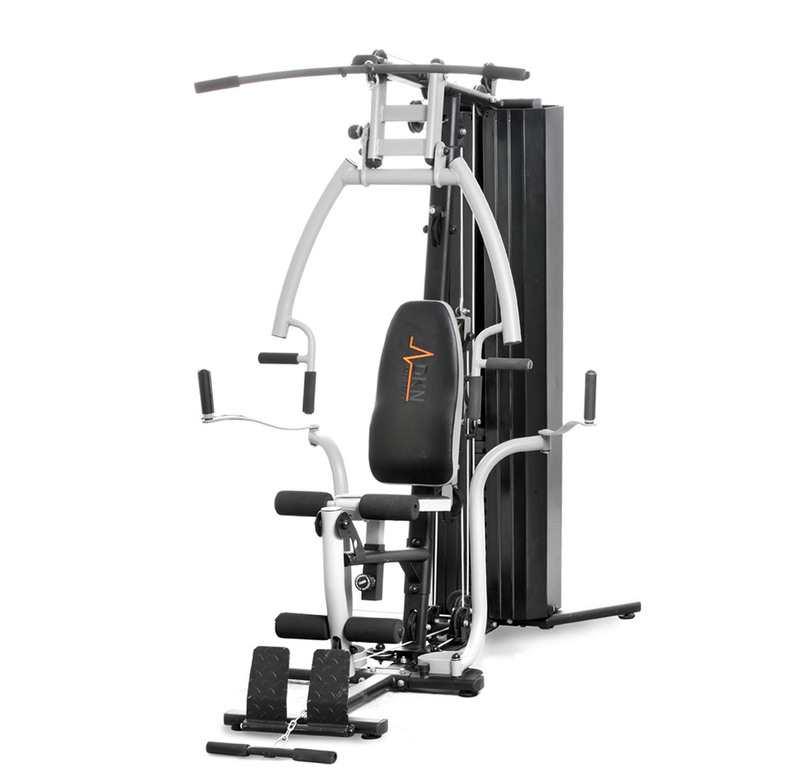 The DKN-9000 home gym is a complete work-out station but within a compact frame, it gives you an excellent range of Compound and Isolation exercises without being too demanding on space. 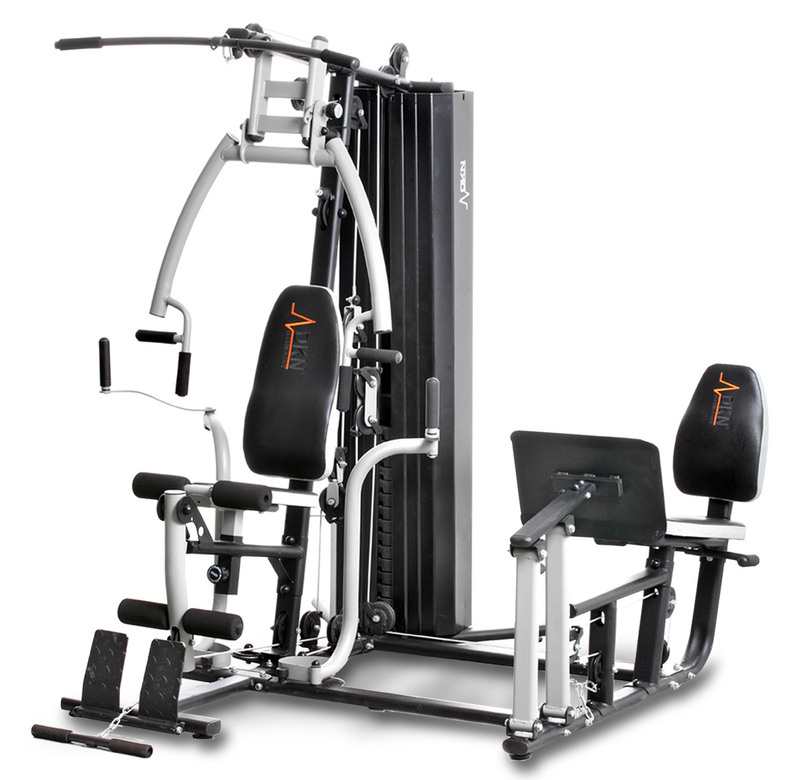 This gym is loaded with special features such as a dual adjustable pulley both for bicep curls and tricep extensions, thick padded upholstery with integrated lumber support, and an adjustable backrest offering a multitude of angles, this ensures a safe and comfortable training position. The pulley system has been designed to offer a more efficient pulling ratio than most home gyms. Attachments include: multi-grip lat bar, short bar and ankle strap. The frame is made out of heavy-duty tubular steel with an Electrostatic Powder Coating for durability and maintenance free use. All pulley pivot points use precision Steel Ball Bearings, and the benchs’ pivoting parts all use Oil Impregnated Brass Bushings to ensure a smooth and fluid motion. Dimensions 138 x 97 x 208 cm (LxWxH). Key stations: Bi-Angular Arms, Leg Press, Chest Press, Peck Deck, Lat Pulldown, Low Pulley, Leg Curl, Leg Extension.